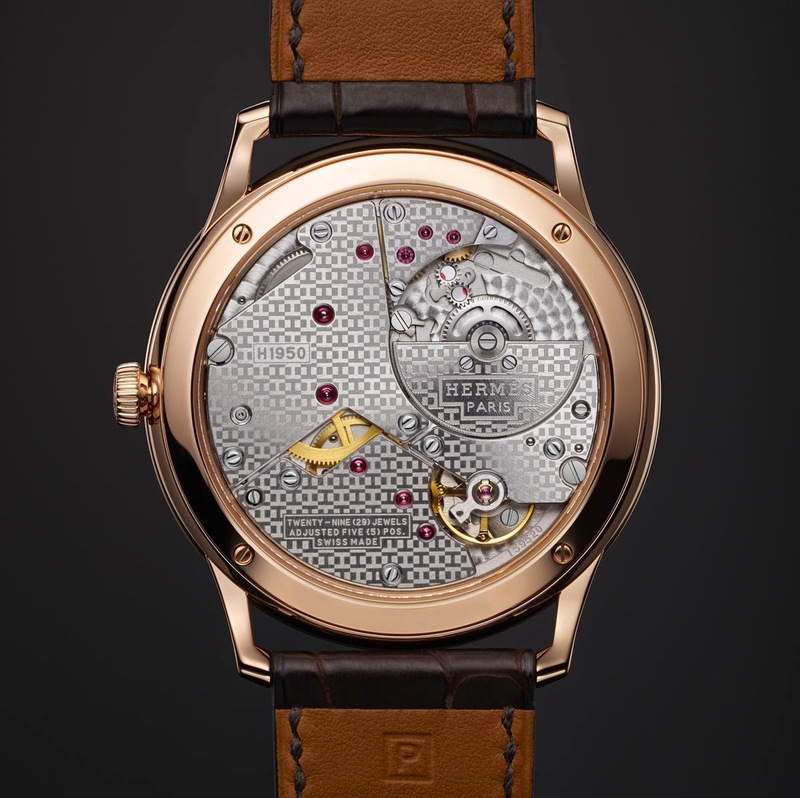 An interesting novelty presented at Baselworld 2015, the slim d'Hermès 39.5 mm is a model for men which, despite the sober and classic design, is rich in personality thanks to details like the slender case, the design of the lugs forming a right angle and, in particular, the original typography created by the graphic designer Philippe Apeloig to mark the hours. The 39.5 mm round case, available in 316L steel or in rose gold, frames an opaline silvered dial with black transferred minutes track and Arabic numerals. Depending on the model, the baton hands are rhodium plated or gilded. 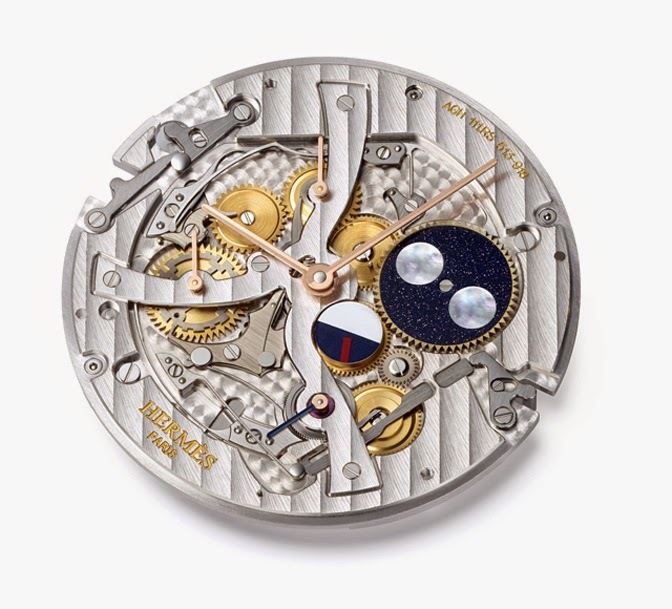 The sapphire crystal case back displays the beautiful ultra-thin self-winding movement. Entirely crafted in Switzerland, the manufacture H1950 calibre has a thickness of just 2.6 mm thanks to the integration of a micro-rotor. 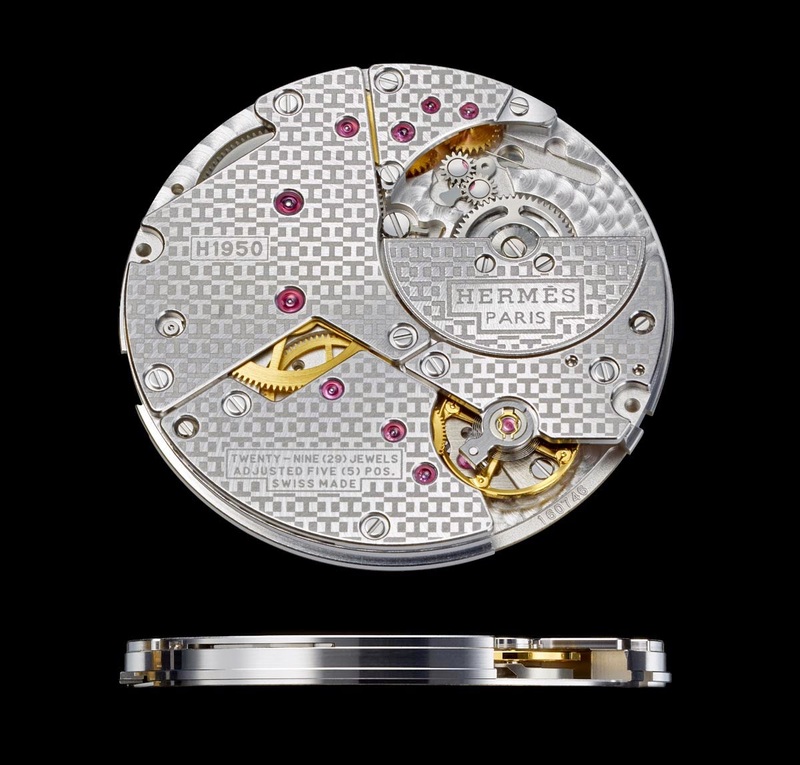 Beating at 21,600 vibrations per hour with a power reserve of 42 hours, the movement is adorned with the "sprinkling of Hs" motif, while the bridges are hand-bevelled in keeping with watchmaking traditions. 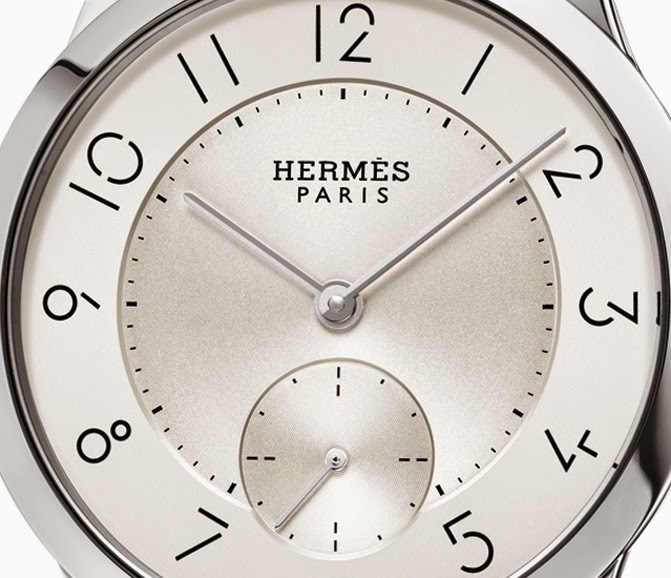 Retail prices of the slim d'Hermès 39.5 mm start at Euro 5,650 / Swiss Francs 6,900 for the steel version up to Euro 13,500 / Swiss Francs 16,500 for the rose gold version. 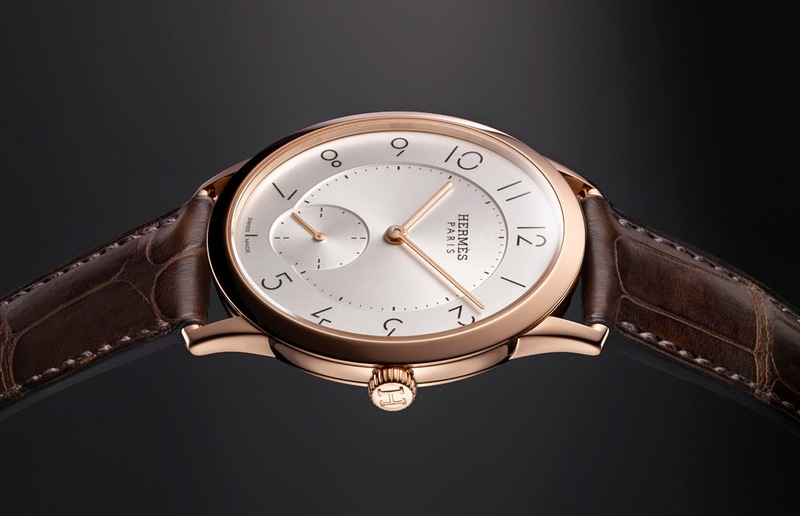 Baselworld 2015: Hermès - slim d'Hermès 39.5 mm. 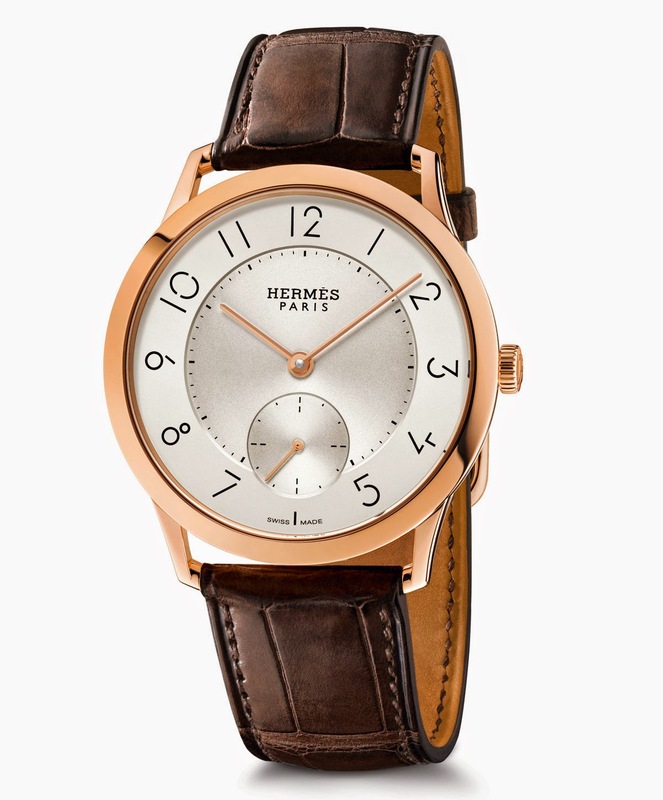 An interesting novelty presented at Baselworld 2015, the slim d'Hermès 39.5 mm is a model for men rich of personality thanks to details like the original typography. 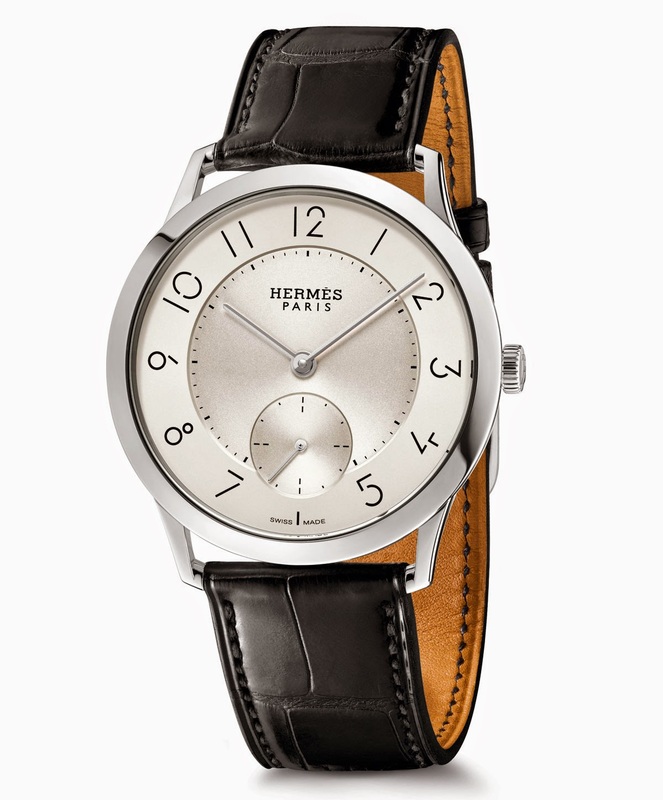 Retail price of the slim d'Hermès 39.5 mm starts at Swiss Francs 5,500 for the steel version. 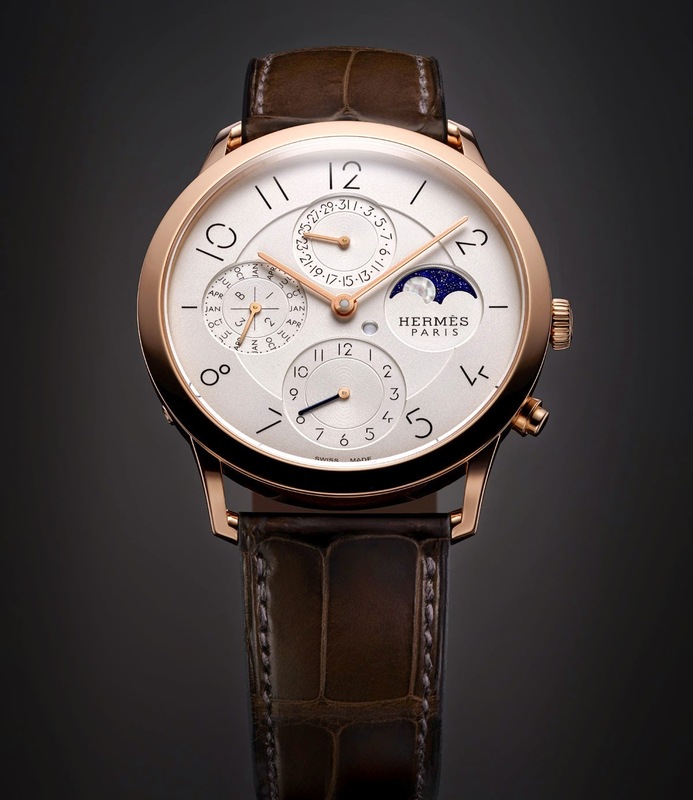 The new collection of the exclusive French brand also includes the slim d'Hermes 39.5 mm Perpetual Calendar.